Are you a school counselor working to make sure that your students meet Ohio's career advising policies along with Ohio's Learning Standards? You need to know about INFOhio! This guide highlights some of our most important tools for career readiness. You can access INFOhio resources using your school username and password. If you aren't sure what your school's INFOhio username and password is, contact your school librarian or complete the Find My Password form. Includes videos on topics such as career fields, work ethic, and personal finance. Try searches for vocational guidance, career, job hunting, life skills, or labor. Download the educator guide and instructor demo and collaborate with your school librarian and ELA teacher. This assignment is aligned to Ohio's Learning Standards for students in grades 6-8. Students can find all of the research resources needed to complete the lesson on the INFOhio Resources for Grades 6-8 page. Includes three mini-modules with lessons on the following topics: jobs/careers; income and budgeting; banking, saving, and credit. Sixth through eighth grade students learn about careers in the financial services industry and managing their money while meeting Ohio Learning Standards in reading, writing, math, social studies, and fine arts in this School Bag for teachers. In addition to four lesson plans and activities, teachers will find assessments, rubrics, graphic organizers, related websites and resources, tech skill practice and differentiation suggestions, and titles for further reading. These units can be used in the classroom, as the basis of a substitute's work plan, or sent home as part of a blizzard bag. How much does it cost to use INFOhio? Who pays for the INFOhio resources? What resources does INFOhio provide access to? 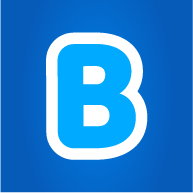 Do I need a username and password to use INFOhio? INFOhio is Ohio's PreK-12 digital library. We provide library automation, instructional and curricular support, and electronic resources to Ohio's PreK-12 community. Our library automation services are available through the regional ITCs. The instructional and curricular support and the electronic resources are free of charge to all Ohio schools. Our electronic resources support early literacy, digital literacy, and college and career readiness. INFOhio's collection of electronic resources for students. Username and password may be required. Use ISearch to search for items in your school library. All PreK-12 school administrators, teachers, students, and their parents residing in the State of Ohio can use INFOhio. INFOhio provides free instructional and curricular support and electronic resources that are aligned to Ohio's Learning Standards. Ohio Department of Education and federal funds provide these online resources for all public and nonpublic PreK-12 schools, students, their parents, and educators across Ohio free of charge. The INFOhio Digital Library (the Core Collection) is funded in part through an Institute of Museum and Library Services LSTA grant awarded by the State Library of Ohio to Libraries Connect Ohio, a collaboration of Ohio’s three library networks—INFOhio, OhioLINK, and OPLIN—that serve PreK-12, university, and public libraries. INFOhio provides students, teachers, and parents residing in the State of Ohio with digital resources that are appropriate for students in PreK-12. We also have tools specifically for teachers to help them find assignments, assessments, and curriculum aligned to standards. For more information, download our Teach/Learn flyer. Yes. INFOhio provides Ohio schools with free access to subscription resources using a local username and password. Use this form to find your school district's password. INFOhio asks that you not publish the username and password in any document that will be posted to the Internet. If you are a school counselor in an Ohio PreK-12 school without a district username or password, let us know. We’ll help you get one. These instructional bags will help students in grades K-3 begin thinking about different kinds of jobs. Use the lessons during class time or print and distribute to parents during open house. Use the INFOhio electronic resources to listen and read about careers. Print enough activity pages for each student. 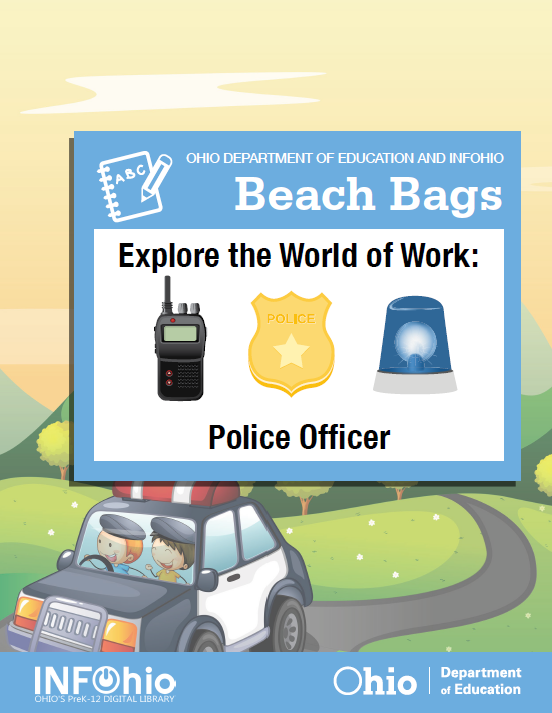 This "beach bag," offered free to all Ohio families and schools by INFOhio and the Ohio Department of Education, gives parents and teachers an easy way to help children practice their reading skills while learning about what it's like to be a police officer. This "beach bag," offered free to all Ohio families and schools by INFOhio and the Ohio Department of Education, gives parents and teachers an easy way to help children practice their reading skills while learning about what it's like to be a veterinarian. 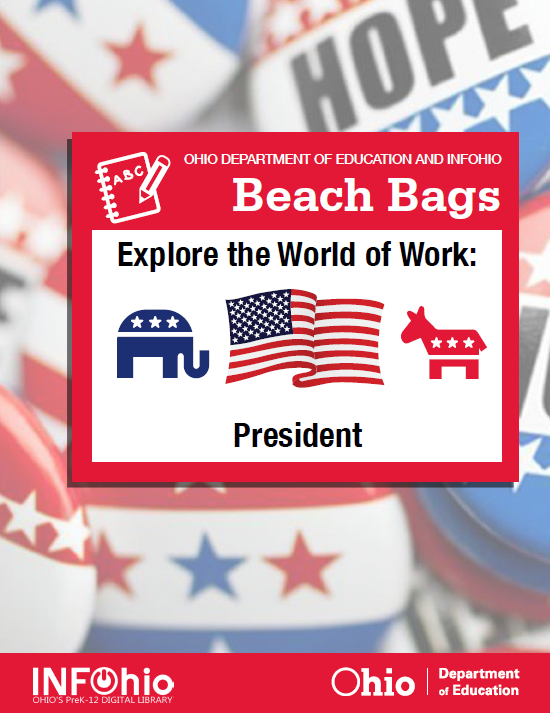 This "beach bag," offered free to all Ohio families and schools by INFOhio and the Ohio Department of Education, gives parents and teachers an easy way to help children practice their reading skills while learning about what it's like to be the President or other elected official. Kindergarten and first grade students learn about planes, trains, ships, and other things that go while meeting Ohio Learning Standards in reading, math, social studies, and fine arts in this School Bag for teachers. In addition to four lesson plans and activities, teachers will find assessments, rubrics, graphic organizers, related websites and resources, tech skill practice and differentiation suggestions, and reading lists for storytime. These units can be used in the classroom, as the basis of a substitute's work plan, or sent home as part of a blizzard bag. Second grade students learn about careers working with animals while meeting Ohio Learning Standards in reading, math, science, and fine arts in this School Bag for teachers. In addition to four lesson plans and activities, teachers will find assessments, rubrics, graphic organizers, related websites and resources, tech skill practice and differentiation suggestions, and reading lists for storytime. These units can be used in the classroom, as the basis of a substitute's work plan, or sent home as part of a blizzard bag. Third grade students learn about careers in healthcare and ways to take care of their own health while meeting Ohio Learning Standards in reading, writing, math, science, and physical education in this School Bag for teachers. In addition to four lesson plans and activities, teachers will find assessments, rubrics, graphic organizers, related websites and resources, tech skill practice and differentiation suggestions, and reading lists for storytime. These units can be used in the classroom, as the basis of a substitute's work plan, or sent home as part of a blizzard bag. For students in grades 4-5, check out the instructional bags below. Complete one of the fun STEAM (Science, Technology, Engineering, Arts, and Math) activities from Camp INFOhio and then point students to the coordinating "Wrap Up: Career Connection" segment. This will help students engage in activities from different career fields and begin thinking about the educational pathways to a career. Camp INFOhio contains five days of reading, activities, and experiments centered on STEAM topics. STEAM stands for Science, Technology, Engineering, the Arts, and Math. Kids can try their hand at code breaking, conduct science experiments with items they find in the kitchen, learn about roller coasters before designing their own, and create their own musical instruments. It's offered free to all Ohio families and schools by INFOhio and the Ohio Department of Education. Instructional Bag-Grades 4-5: Engineering the Future! Fourth and fifth grade students learn about careers in engineering and feats of engineering such as Ferris wheels and bridges while meeting Ohio Learning Standards in reading, writing, math, science, and fine arts in this School Bag for teachers. In addition to four lesson plans and activities, teachers will find assessments, rubrics, graphic organizers, related websites and resources, tech skill practice and differentiation suggestions, and titles for further reading. These units can be used in the classroom, as the basis of a substitute's work plan, or sent home as part of a blizzard bag.